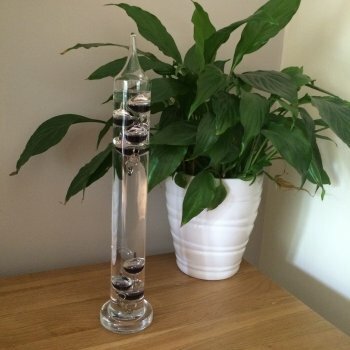 This medium size Galileo thermometer will bring a touch of class to any home and is bound to be a talking point among visitors. Invented by Galileo this stylish thermometer has several balls of exact weight which have been placed in liquid. These balls then rise and fall according to the temperature so you can then take an accurate reading.